The Everybody Counts Charlotte: 2019 Point-in-Time Count was conducted between January 22 and February 1. Volunteers and staff have completed surveys with individuals and families experiencing homelessness in emergency shelters, transitional housing and outside in unsheltered locations. Last year, 1,668 people were counted during the Point-in-Time Count.  The survey is a way for Charlotte-Mecklenburg to collect information that is required as part of the federal funding we receive to provide housing and homelessness services in our community. It also enables us to learn information that can inform local decisions around policy, funding and programs. Some of the locally generated questions this year focused on displacement due to natural disaster, arrests for crimes associated with homelessness, and barriers to obtaining housing. We share with individuals and families experiencing homelessness that completing the Point-in-Time Count survey is one way to help make their voices count: we will use the information gleaned from the survey to make changes in the community. Individuals and families are not required to complete the survey, but many of them do…each sharing their personal experiences with complete strangers in order to help others. To be counted. To be heard. Your Voice Counts, all the time. After the Point-in-Time Count data collection effort ended on February 1, staff reviews and analyzes the data to prepare it for release with other datapoints in the 2019 Charlotte-Mecklenburg Housing Instability & Homelessness Report. It is important that we continue to use that data to inform decision-making around housing and homelessness. This is how we help to ensure that what we told individuals and families when they first shared their stories with us is true: your voice counts. But, it doesn’t stop there. Your voice counts, too. Volunteers, staff, and advocates who have participated in any Point-in-Time Count see first-hand the impact of homelessness in our community. It is an experience that is hard to forget and an important reminder of the people behind the numbers and their stories that are essentially connected to our own. We need your voice. People experiencing homeelssness and those in imminent danger of losing their housing need your voice. They spoke through the Point-in-Time Count; your voice counts, too. 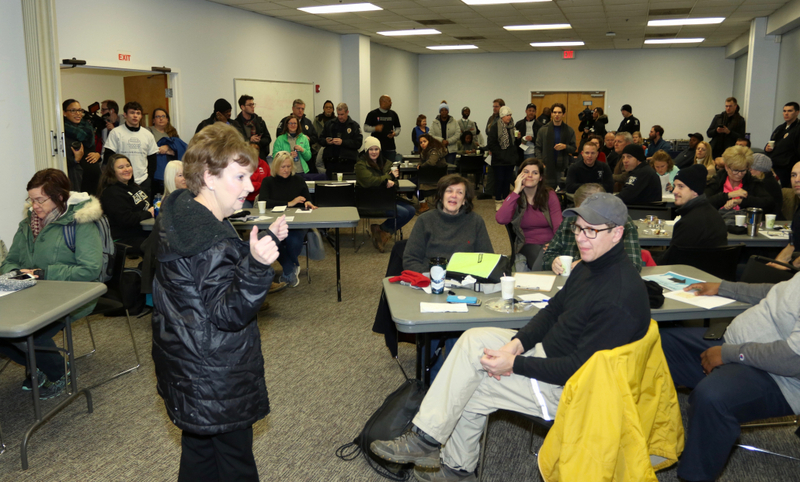 The work to end and prevent homelessness and increase affordable housing throughout Charlotte-Mecklenburg does not end with the Point-in-Time Count. It continues, daily. Your voice can make a difference by speaking up about affordable housing and homelessness services in the community. Showing up where decisions are made is an important first step.  Click here to find out when various elected bodies like the City of Charlotte, Mecklenburg County and Charlotte Mecklenburg Schools meet. You can share your experiences from the Point-in-Time Count and talk about why housing matters in our community with friends and family if you aren’t comfortable on a microphone. Write letters, send emails, make signs, or even submit a post for this blog. Your voice counts. Speak for yourself, speak on behalf of others. It’s our responsibility to listen, speak, and make sure everyone is heard. Courtney Morton coordinates posts on the Building Bridges Blog. Courtney is the Housing & Homelessness Research Coordinator for Mecklenburg County Community Support Services. Courtney’s job is to connect data on housing instability, homelessness and affordable housing with stakeholders in the community so that they can use it to drive policy-making, funding allocation and programmatic change. Courtney also serves as the project manager for the Point-in-Time Count.